Novak Djokovic’s emphatic win over Andy Murray in Melbourne on Sunday has led many to believe that the Scot will never manage to win a major title. It’s now three finals and three straight set defeats for Andy Murray and fears surrounding the Scotsman’s temperament mean Ladbrokes customers can get 7/4 that Murray retires without winning a Grand Slam tournament. With Rafael Nadal, Roger Federer and Novak Djokovic all ahead of Andy Murray in the rankings, the Scot will find it tough to end his search for his maiden win and the 7/4 is a tempting price. Despite Djokovic’s incredible display, the Serb is still longer in the betting than Andy Murray for Wimbledon and the US Open. Djokovic is 6/1 to win Wimbledon while Murray is available at 4/1, and Djokovic has US Open odds of 5/1 while Murray is 4/1 to win at Flushing Meadows. Djokovic offers incredible value at those prices considering his impressive form over the past six months, and the Serb can use the confidence gained from his Australian Open win to challenge Nadal and Federer at the top of the rankings. New customers to Ladbrokes.com should take advantage of Djokovic’s current value by signing up here and benefiting from a free tennis bet worth £25. Nadal and Federer are still the men to beat and head the French Open, Wimbledon and US Open markets. Nadal is 4/11 to win the French Open, 11/8 to win his third Wimbledon title and 2/1 to win the US Open. Federer has French Open odds of 6/1, Wimbledon odds of 10/3 and US Open odds of 7/2 and the world’s number one and two dominate the tennis betting markets. Murray is as big as 20/1 to win the French Open and his recent performances at Roland Garros suggest Wimbledon is Murray’s next best chance of ending his Grand Slam search. 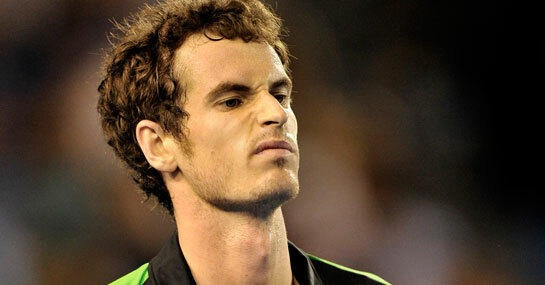 A £25 stake on Andy Murray winning Wimbledon would return £125. New customers can sign up here for a free bet worth £25.